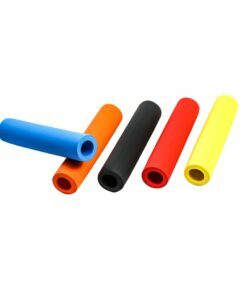 Made by medical grade silicone. Great damping feedback to reduce shock and palm arch. 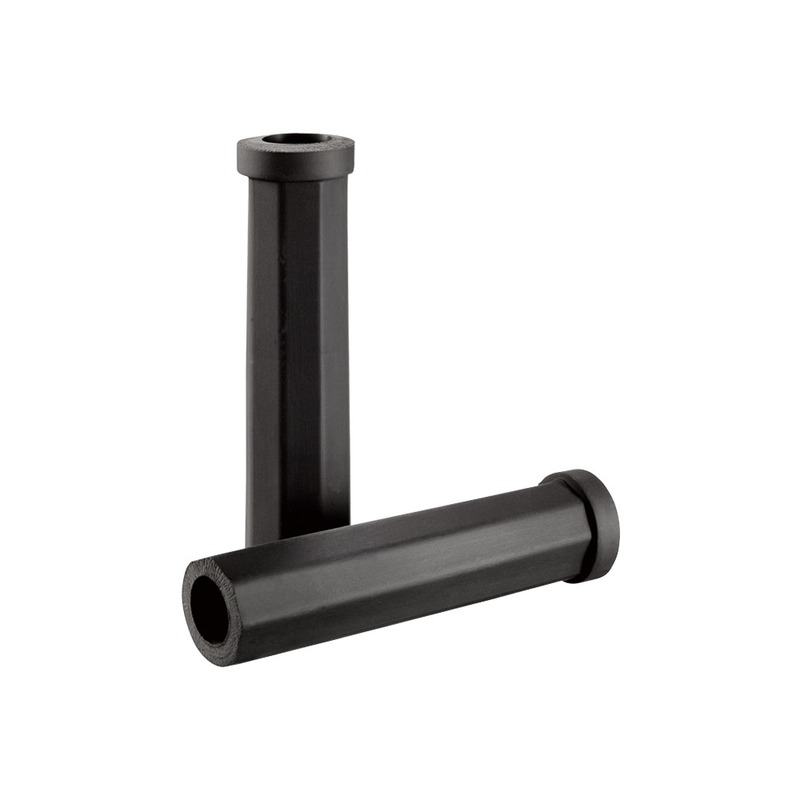 + Made by German silicone, degradation and hydrolysis free. + 4 ergonomic edges with a round side for comfotable gripping. + Great damping feedback to reduce shock and palm arch. 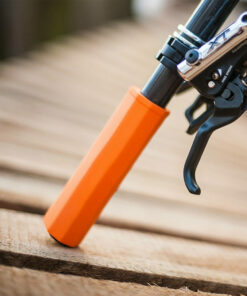 + Good solution for riders with arm injuries. 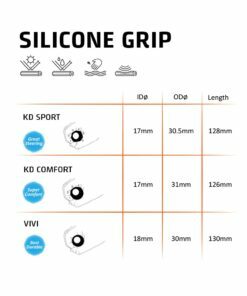 Made by German silicone and engineered with special foaming process, KD comfort grip create comfort and great shock absorption during long distance riding. 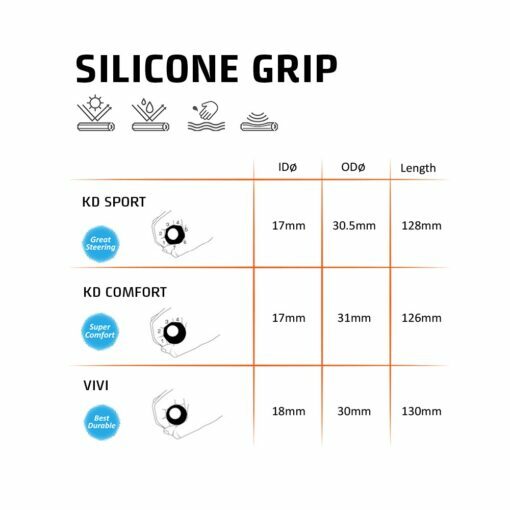 It is UV resistant and heat-proof, not to mention medical grade, KD comfort silicone grip has clear advantage over traditional coverings. 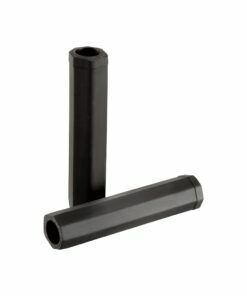 ideal for both daily commuter and longer-distance touring and a good solution for riders with arm injuries. Made by German silicone, degradation and hydrolysis free. 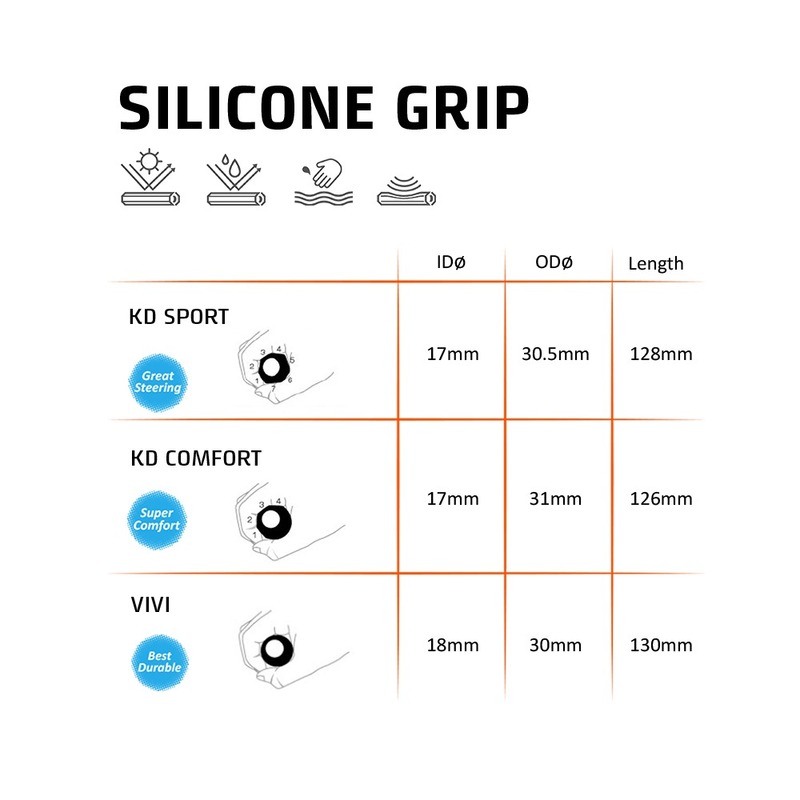 4 ergonomic edges with a round side for comfotable gripping. Great damping feedback to reduce shock and palm arch. Good solution for riders with arm injuries.